Pursuant to GAR 104(6) Return Gate Operator Mrs. E. Delios did not act in any official capacity for this event. A pre-race sample was taken from Penberthy. Rusty Mia was quick to begin. Fallen Star, Perfect Hours and Hello Nimble were slow to begin. Fallen Star and Perfect Hours collided soon after the start. Early King, Zipping Pedro, Rusty Mia and Penberthy collided approaching the first turn checking Zipping Pedro and Penberthy. Fallen Star and Penberthy collided on the first turn. Hello Nimble and Bandit Brad collided on the first turn checking Fallen Star and severely checking Hello Nimble. Zipping Pedro and Rusty Mia collided approaching the home turn. Penberthy and Bandit Brad collided approaching the home turn. Hello Nimble eased approaching the winning post. Hello Nimble was vetted following the event and after being re-vetted it was reported that there was no injury apparent. Stewards spoke to Mr. P. Romagnino the trainer of the greyhound Hello Nimble regarding the greyhound's racing manners approaching the winning post. Acting under GAR 69 (A)(1) Stewards charged Hello Nimble with failing to pursue the lure with due commitment. Mr. Romagnino pleaded guilty to the charge, Hello Nimble was found guilty and suspended for 28 days at Traralgon and it was directed that the greyhound perform a satisfactory trial all tracks pursuant to GR 69(A)(2)(a) before any future nomination will be accepted. She's Our Poppy was presented for a re-vet at the conclusion of kennelling and was not cleared to race. Stewards spoke to Mr. William McMahon, the representative of Dr. Yanma regarding the length of time since the greyhound last raced. Dr. Yanma last raced on 16 November 2017 and is returning to racing following an injury to both hocks. 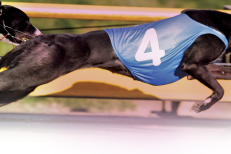 Pursuant to GAR 77A, Dr. Yanma trialled over the 315m from box 8, weight 35.5kg, the greyhound was placed fourth in a field of 4. 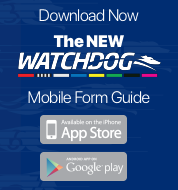 The time of the trial was 17.88 secs, the greyhound was beaten by a margin of 7 lengths. Dr. Yanma was Cleared.